The Great Gathering is half over and lots of ideas have been discussed. The buzz during the event was terrific. People butterflying around, chatting with others about the ideas being discussed. People bumblebeeing around, interjecting their opinions into discussions. Still others enjoying their session, some as facilitators of their idea, others as interested participants. Saturday will be very interesting in that the agenda will be set according to the discussions of the Friday sessions. 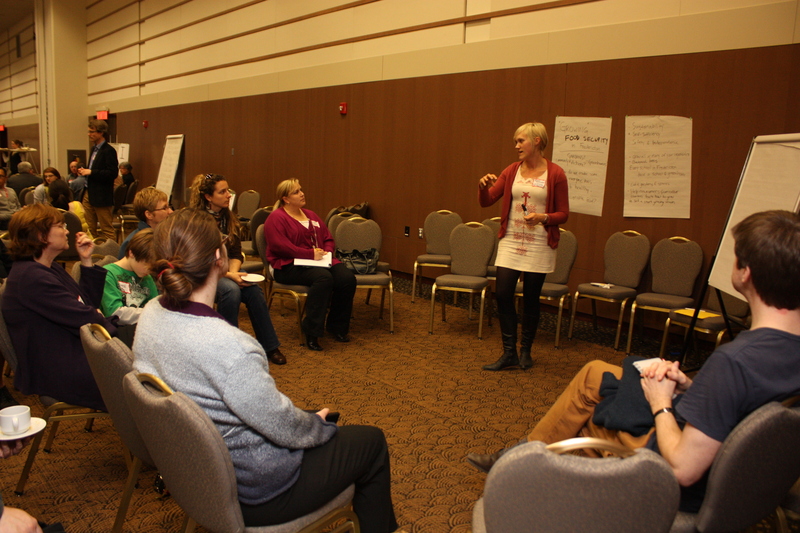 The sessions were all ideas brought forward by Frederictonians, facilitated by the same people and will be followed up tomorrow and beyond by those involved. I want to highlight three ideas that were discussed on Friday. The first will need to come with a disclosure. I personally have an interest in it, being friends with the gentleman proposing the idea and having formed a committee to work on it. This idea is to develop and advocate a pedestrian street in downtown Fredericton. This would be along the lines of the way Queen Street is closed to traffic for Harvest Jazz Blues. Ian Letourneau, former Ward 6 candidate (Barker’s Point), presented the idea and had a group of about 20 participating in the discussion. 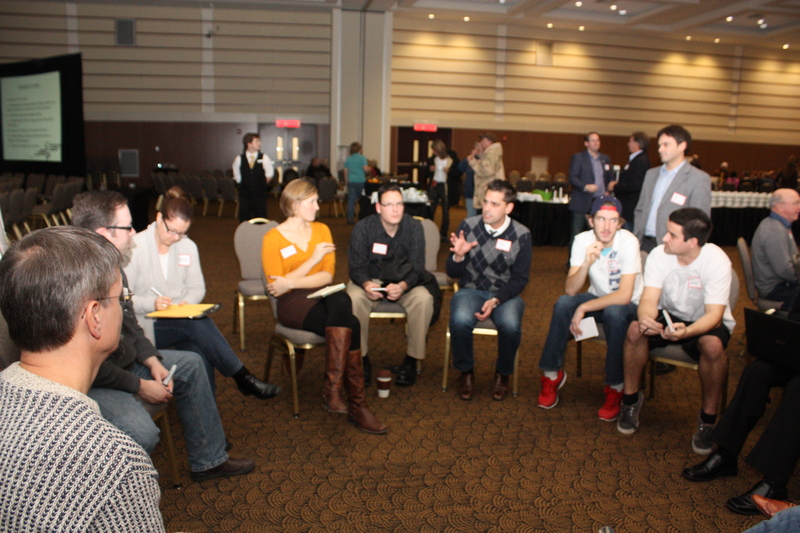 He received great feedback and was able to identify like-minded people to continue the discussion tomorrow and beyond. 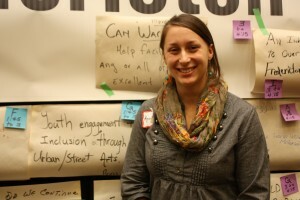 The second idea I would highlight is engaging youth and inclusion. I spoke to Anna-Lee who participated in the discussion. This idea was about being able to centralize ideas and programs to help youth being engaged in the community and to feel included. There are lots of small programs but no one have a view of the big picture, that is being able to provide a focal point of available resources, an example being FredKid.com. The third idea I would highlight is food security. The discussion revolved around projects and programs people are proud are in Fredericton, like the NB Community Harvest Gardens and identifying ways to move forward. Thanks for the update. Good pics.